Naomasa is from Qing-Takeda. Works in the Musashi Engineering Club and lives alone in the dorms. Her right arm is mechanical. Uses her Divine Arms Jizurisuzaku to fight. She has an older sister-type personality. 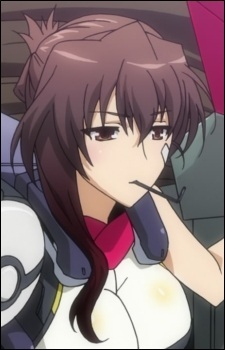 She is depicted to smoke a traditional Japanese pipe (kiseru) in the light novels. This is later replaced by an Allen wrench in the anime series.